Though I am by no means a specialist in the African Christianity of the early centuries, you will allow me, I hope, to offer some thoughts on the argument I mean to develop at this conference: «The African roots of Latin Christianity». I shan’t speak out of a knowledge I don’t have, but rather put before the specialists questions on an issue whose importance for the Churches north and south of the western Mediterranean is obvious. It seems to me important, in fact, in the context of the “Year 2003 of Algeria in France”, to make known the part the Church of Africa played in the early centuries in the life and development of Latin Christianity. I shall thus take into consideration different aspects of the Latin Church in the early centuries so as to pose questions to the experts here present on the specific contribution of the Christians of north Africa at the moment when the Latin Christianity was being born, was gradually taking on in Europe a character free of its earlier Greek and Middle Eastern origins. Professor Claude Lepelley recently proposed a thought on the same theme at the symposium organized by Unesco on 30-31 January 2003. I shall permit myself to rely largely on his contribution, but I shall take advantage of my situation as pastor and of the greater amount of time we have at our disposal to ask new questions as well, in the hope that they may contribute to a heightened awareness of relations between the two Wests, the European West and the West (which is what the word Maghreb means) of the south of the Mediterranean. To be aware of this fact is very important for the Christians of Europe, as it is also for the present inhabitants of the Maghreb. Europeans must realise that a notable part of their Christian Latin roots are to be found south of the Mediterranean. And the inhabitants of the Maghreb must in the same way see the role that their forebears played in a cultural and religious tradition that now seems completely extraneous to their country. An awareness that can also have its importance for the young Churches of Africa that see their own spiritual sources as entirely European, forgetting not only the eastern origins of the Bible and the development of eastern patristics, but also the role of Roman Africa. Professor Claude Lepelley does not hesitate here to express his position in paradoxical form: «Western Christianity was not born in Europe but south of the Mediterranean». It is a claim one may find stunning, but it is amply backed by history. I shall shortly try then to set out the main lines one has to explore if one is to uncover, in their various aspects, the African roots of Latin Christianity. The first fact is of considerable importance. 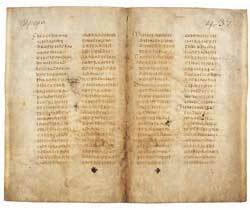 The oldest works of Christian theology in Latin that have come down to us were not written in Italy, Spain, in Gaul or in Dalmatia, but come from Carthage. At the time of Tertullian, in fact, the Christians of the northern Mediterranean were still writing in Greek. As, apparently, did Clement of Rome, a century earlier. But as also did Justinus – who is not really a “Latin Father”, but who died a martyr in Rome (†165 ca.) – a little before Tertullian. He came from Palestine and first had written in Greek for Greeks, and continued to do so when he came to Rome. Irenaeus (†200 ca. ), who went from Smyrna to Lyons, wrote his Adversus haereses in Greek in the latter city, when Tertullian had already had written his first treatises in Latin. Hyppolitus (†236), though a priest in Rome, younger than Tertullian, was still to write his work in Greek. Besides Tertullian, the first author in Latin we know is Minutius Felix. But it has not been proved that he is prior to Tertullian. And in any case his work remains on the level of apologetics that make little use of the properly Christian theological terminology. Thus, we owe the first theological treatises in Latin to Tertullian. He wrote first in Greek, but was soon to pass to Latin, to reach his African public. 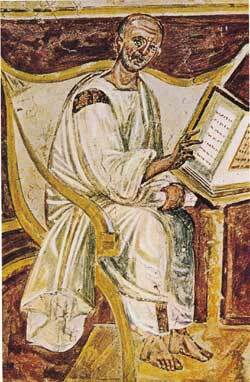 To decide how much the Christian vocabulary owes to Tertullian is a task for scholars. 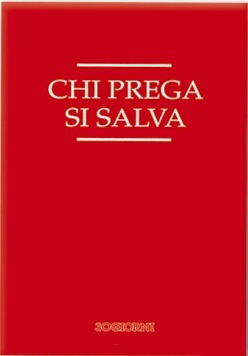 Even if he did not alone create all the Christian terminology in Latin his work was nevertheless to constitute the first Christian corpus of reference in that tongue. The Latin language seems to derive a thousand Christian words from him. Here follow, as examples, two quotes from Tertullian that illustrate the difficulty in this first attempt at the transposition of Christianity, from its original expression in Greek, to a formulation in Latin. 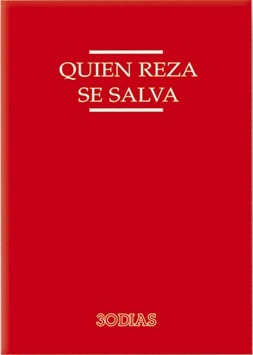 The first passage sets the problem of the Greek translation of the word logos by the Latin sermo (that we can translate equally by “speech” as by “Word”): «In fact, before any other thing, God was alone: he was completely for Himself, his own world, his own state, and everything. He was alone also in the fact that there was nothing that was external to him. And yet he was not then truly alone. He was accompanied by what he had in Himself, that is His reason. God in fact is rational and Reason is first in Himself, given that all proceeds from Him. This Reason is his own thought. The Greeks call it “logos”. 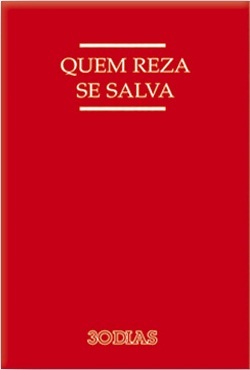 A term for which we also say “word”, which is why, because of the facility of the translation, we are used to saying “in the beginning the word was with God”, whereas it would be preferable to speak of Reason, because before the beginning itself God was not Word but Reason and because the Word exists through Reason that in consequence is prior to it» (Adversus Praxean, 5, 2-3). In the second example we shall see the shifting in the terminology between substantia and materia when Tertullian uses them in the same passage to translate the Greek ousia (substance): «He is called Son of God and God, because of the unity of the substance; because also God is spirit. When a ray is thrown out from the sun, it is a part that moves completely away; but the sun is in the ray, because it is a ray of sun, and the substance has not divided, but extends, like the light that lights itself in the light. The source material remains whole, and loses nothing, but communicates its nature through many channels» (Apologeticum XXI, 12). But, overall, one is deeply impressed by the firmness and concision of Tertullian’s formulations. Here is an example, one of the many possible: «It was then required that the image and the likeness of God be created endowed with free will and a proper autonomy, so that precisely to that – free will and autonomy - the image and the likeness of God be entrusted. And for this purpose a substance appropriate to this state has been entrusted to man» (Adversus Marcionem II, 6,3). Cyprian (†258), the second, chronologically, among the western Fathers who left work in Latin, was also an African. His work is more than a century earlier than that of Hilary of Poitiers (†367), of Ambrose of Milan (†397), and even more than that of Jerome (†420). Arnobius (†327 ca.) is also African. We remember, for that matter, that the Cecilius Paganus of the Octavius, the apologia by Minutius Felix, is curiously introduced as a friend of Fronton of Cirta (Constantina in Numidia), the author of a diatribe against the Christians (162-166). We may also notice that Lactantius, who died around 325, three quarters of a century after the death of Cyprian, was, according to Saint Jerome, born in Africa. He taught Latin in Nicomedia, in Asia Minor, where the emperor Diocletian has established his capital, hence fully within the area of diffusion of Greek culture. It is said of him, an African, «that he is the most eloquent man of his time in Latin ». This is a period for which the Christian West can cite no Christian Latin author until Hilary of Poitiers (†367) and Martin of Tours (†397). 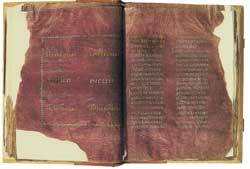 It would also be interesting to hear the experts on the question of the language, especially on the Vetus Latina. It is said in fact that Africa possessed the earliest Latin versions of a certain number of books of the Bible before Jerome gives the Latin world his celebrated translation, that was to become the point of reference for everybody in the Latin world up to the liturgical reform of Vatican II. Again here I shall leave to the proper people the task of explaining in greater detail, but for quite some time the specialists have been attributing a determining role to Christian Africa in the first translations of the Bible from Greek to Latin. 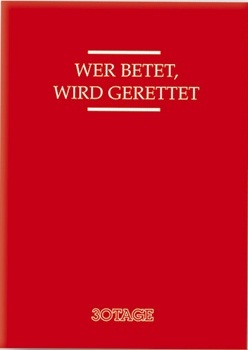 Pierre Maurice Bogaert (La Bible latine des origines au Moyen-Âge in Revue Theologique de Louvain, 19 , p. 137) writes: « When the need began to be felt – certainly from the mid 2nd century in Roman Africa – the Bible was translated from Greek into Latin… Till the opposite is proved I am for the African origin [of the translations] rather than Roman or Italian». It is also thought that all these early translations were made for the Jewish community in North Africa, for the needs of its own faithful. It’s true that those early translations will often have been later replaced by Jerome’s, but their traces were to remain important in many books of the Bible, such for example as the book of Psalms. The Latin West, I repeat, owes Roman Africa some of its earliest biblical translations. Another field of very early Christian expression in the Latin tongue is evidenced in Africa by the Acts of the martyrs. Monsignor Saxer, a former president of the Pontifical Institute of Christian Archaeology, says on the matter: «African hagiography – Latin in expression from the start – has the singular privilege of including some of the earliest, more authentic and more beautiful works in that literary genre» (Victor Saxer, Saints Anciens d’Afrique du Nord, Rome 1979, p. 6). The earliest Christian document in Latin that has come down is also the earliest story from Christian Africa, that of the martyrs of Scilla (17 July 180), a city in Proconsular Africa whose whereabouts are still unknown. Also again the specialists must underline the fact that the African Acts of the martyrs or their Passions are the earliest documents of this kind in the Christian literature. They were to serve as model for the later works of the kind in the West. And the same is true for the amplest of the literary genres, that is the lives of the saints. A genre that arose in Africa and was to be much followed throughout the Church. It began in fact with the life of Saint Cyprian, written by Pontius the deacon. We also know the life of Saint Augustine compiled by his colleague and friend Possidius of Calama (the modern Guelma in Algeria) and that of Fulgentius (†527) of Ruspe (between Sfax and Susa in Tunisia) written by Fulgentius’ deacon, Ferrandus. The door was opened for the much later hagiographic works of Gregory of Tours on Saint Martin and on the glory of the martyrs. In his speech to Unesco Claude Lepelley pointed to another way in which the Church of Africa influenced the Latin West: its demographic weight. It is not easy to measure it in terms of Christian population, but the number of bishoprics is notable. Toward 200, at the first Carthage Council, the bishops of Roman Africa under the leadership of Agrippinus already numbered seventy. In the same period, for Italy of the north, it is not known whether there were other bishoprics besides those of Rome, Milan and Ravenna. At the second Council of Carthage the African bishops gathered were already ninety. In the same period, at the Synod of Rome, under Pope Cornelius, there were only sixty bishops. At the Council of Arles on Donatism (an African problem), in 314, one notes the presence of 46 bishops (16 from Gaul, 10 from Italy, 9 from Africa, 6 from Spain and 3 from Brittany). 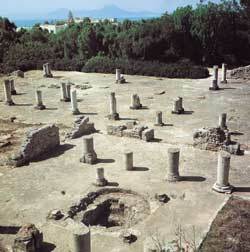 We know the number of bishops that took part in the 411 Council in Carthage. We know that the Catholic bishops present numbered 279 and the Donatists 270. Considering that there were a hundred or so bishops missing on either side, the total number would amount to more than six hundred. It’s a figure that gives some idea of the spread of bishoprics, above all in the Proconsular (Tunisia) but also in Numidia (the zone of Constantina). The African influence on Rome was already being felt by 189, when Victor, an African from Leptis Magna, was elected pope in Rome (189-198). That shows the position that the Church of Africa must have had in Rome from the end of the second century on. And in the third and fourth it was to continue to increase. But all the elements so far indicated would surely have gone without lasting consequences without the theological and spiritual figure of Saint Augustine, and without the prodigious amount of work he produced. There’s no point here in talking of the persistence of his influence in the Latin West up to the Reform, up to Jansenism, and down to today. That influence has been described in every study on Augustine. The thing that really needs to be stressed is the presence in his work of an original synthesis of Christianity that, albeit he knew the Greek Fathers, starts out from a personal meditation on the Scriptures and from his specific spiritual experience. Goulven Madec recently (Lectures augustiniennes, Paris 2001, pp. 99-109) proposed a study on the Christian influences that worked on Augustine, and noted the importance of the Latin references, more numerous than those of the Greek Fathers. Hilary of Poitiers, at a certain point an exile in the East, and Ambrose are very much more indebted to their Greek sources than was Augustine. Augustine wanted to be fully faithful to the tradition of the great Church, but he rooted his theology mainly in his personal reading of Scripture and in his own experience. Even his reference to the sources of Greek philosophy is mediated by the testimony of two Latins, Simplicianus and Victorinus, rather than by that of the Greek Fathers. 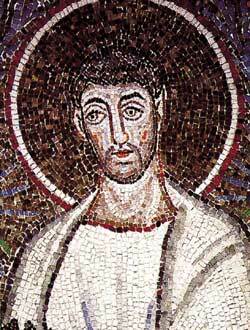 With Augustine the Latin West had achieved its theological freedom and with that its own Christian individuality also. Some may disapprove of that development, and prefer the reading of Christianity proposed by the Greek Fathers. But all must recognize that the Latin West owes its own reading of the biblical message to Augustine above all. We know that monasticism arose in the East. It spread in the West first through Saint Martin (†397), born in Pannonia, on the Latin frontier of the West. Augustine himself tells how he discovered in Milan, thanks to Ponticianus, some anchorites converted to the ascetic life by the life of Saint Anthony Abbot (†356) which Athanasius had just written of, some years after Anthony’s death. A discovery that, as we know, was to have an important place in the life of Augustine who, on his return to Tagaste, was to set up the first African homes of the monastic life. He then adapted that way of life to the community living around him when he became bishop and gave the Latin world his rule of life and the example of his monastic pastoral communities. The Latin West was to adopt this example in part of its tradition of religious community life (the Augustinians, the Premonstratensians, etc.). But the specialists claim to find even in Saint Benedict’s rule particular borrowings from the rule of Saint Augustine. Professor Claude Lepelley suggests yet another area in which the Church of Africa influenced the Latin Church: that of ecclesiastical law. As we know, Council activity was more intense in North Africa than in the other regions of the Latin West, above all in the third and fourth centuries. The decisions of those gatherings constituted a corpus that was to influence the Churches of the West, above all through Visigoth Spain. We cannot here go into the manner of how Augustine’s works managed to escape the sack of Hippo by the Vandals, to then go on and conquer Europe. Serge Lancel says this on the question: «There is no lack of indications enabling us to claim, without proofs but with strong probability, that the extremely detailed knowledge that existed in Italy of Augustine’s works from the mid fifth century was not due to copies of his works, spread overseas before the bishop’s death only in a partial way, but rather to their global transfer to Rome and to their inclusion in the collection of the apostolic library, toward the mid fifth century, in circumstances and ways that remain, it should be said, mysterious, if not miraculous» (Serge Lancel, Saint Augustin, Paris 1999, p. 668). Thus Augustine’s works were very soon available north of the Mediterranean, and went on to spread as we know. We know the inscription in the Lateran on a fresco showing the earliest portrait of the bishop of Hippo: «The various Fathers have explained various things, but only he said all in Latin, explaining the mysteries with the thunder of his great voice». It seems to me that the various themes dealt with, despite the brevity of the indications offered, sufficiently bring out the reality of the African or Numidian roots of Latin Christianity. An illusion of perspective has too often led to considering the early Christian centuries, in the Empire of the West, as an almost entirely European fact. In reality, the Proconsular region seems to have been evangelized much earlier and much more extensively than many regions of the north in Italy, in Gaul or in Spain. To give only one example, it is significant that the first Council of Gaul in Arles in 314 came together to provide help towards resolving a typically African problem, that of the Donatist schism. It is proof of the bonds that then existed between the Churches of the north and south of the western Mediterranean. But it is also proof of the small size of the Churches of the north, which, bringing together bishops from Italy, Gaul, Spain and Brittany, to whom were added African bishops, could only arrive at a number far lower than that of contemporary Africans councils. But it is clear that it was especially through the spiritual, pastoral and theological figure of Augustine that the influence of the African Church on the Churches of Europe came to bear. 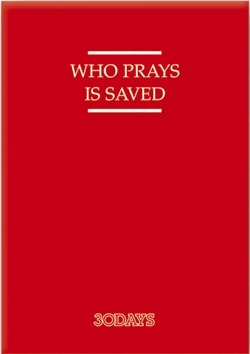 A fact so well established, on the theological plane, that there’s no need even to mention it. But its importance needs to be assessed outside of the particular sphere of ecclesial sciences. The philosophical and theological choices made by Augustine are now part of the baggage of Western European thinking. To give this claim its proper weight, one can turn among other things to the remarks of one of more recent writers on the matter, Jean-Claude Eslin: «In my view, Augustine’s greatness consists in having succeeded in constructing, in an opus that covers more than ninety volumes and pamphlets, a hitherto unconceived fit between the world of antiquity and the Christian world that gives it new form. In this sense Augustine is the first western man, the first modern, because he is the first to attempt that fit in a philosophically intelligible expression, and, having done so, he thus shaped our sensibilities for centuries. 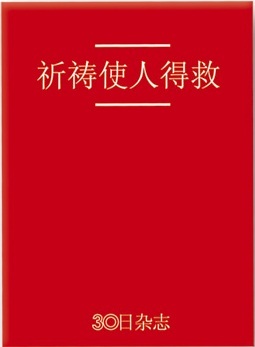 In terms of the Roman Empire, and also in terms of Eastern Christianity, in terms of the stability of the values of this world and of ancient man he marks a break, and represents the founding moment for the fact that he introduces a western restlessness, and introduces a constitutive instability (in politics, in sexuality), a dynamics that, after fifteen centuries, has not concluded; Augustine is restlessness of the spirit in the very bosom of the haven found » (Saint Augustin. L’homme occidental, Paris 2002, pp. 8-9). There would be no end to quotations that bring out the unequalled influence of Augustine’s thought and work on the Latin West. 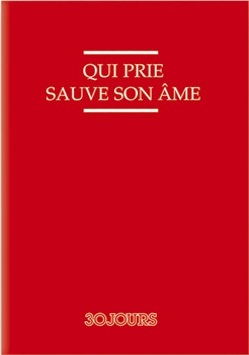 «No work by a Christian author in the Latin tongue was to stir such great admiration and inquietude and enjoy such glory» (Dominique de Courcelles, Augustin ou le génie de l’Europe, Paris 1994, p. 295). To the point that the author of this passage, while aware that he is speaking, as he says,« of a Christian Berber», nevertheless gives his book the title Augustine or the genius of Europe. And the genius was a Numidian of the Roman Empire. What a decanting of wisdom from the south to the north of the Mediterranean!